Disclosure: This post was sponsored by Walmart. I have been compensated for my time and efforts in creating this post. As always, my opinions are my own. St. Patrick’s Day will be here before we know it. It’s time to bring out the green and a little luck. St. Patrick’s Day is a fun holiday in our house. We especially love turning some of our favorite foods “green”. 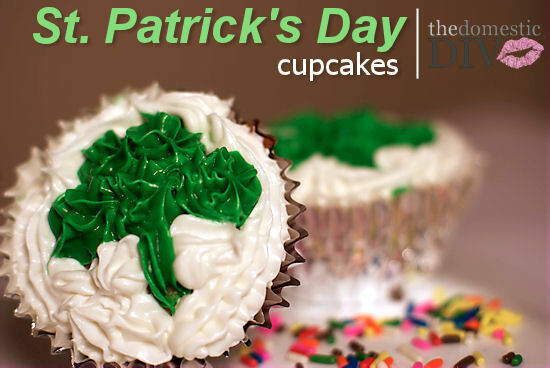 As a Walmart Mom, I was challenged by Walmart to share a sweet treat in honor of St. Patrick’s Day. 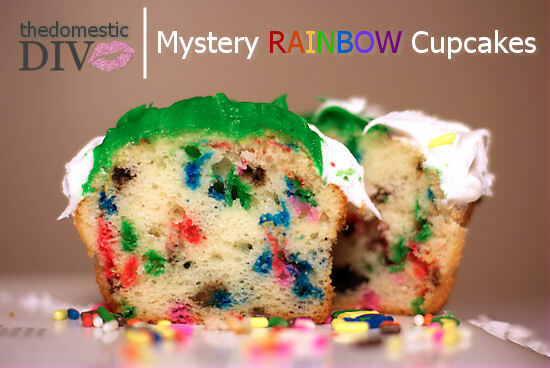 This year we made “Mystery” Rainbow Cupcakes. The mystery about these cupcakes though is that not all of the cupcakes that were made have the “lucky rainbow” inside. Out of the 2 dozen cupcakes baked only 6 end up with the “luck” inside. Can you guess which one has a mystery rainbow inside? First start off by mixing the cake batter according to the package directions. 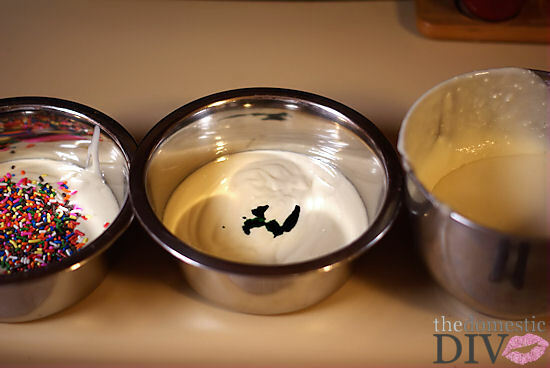 Once thoroughly mixed, separate batter into 3 different bowls. Leave one bowl white. Add 8 drops of green food coloring to the second bowl. And the third bowl add 1/4 cup of rainbow sprinkles. Mix each bowl well. Place aluminum cupcake liners into cupcake pan. 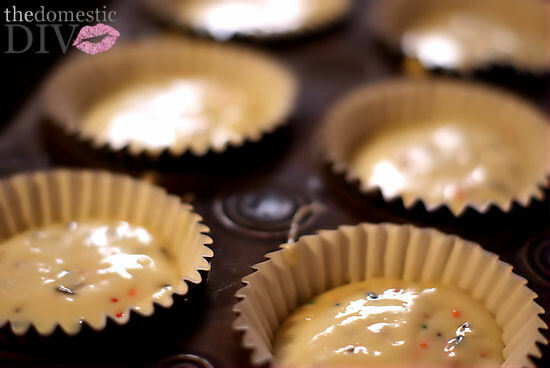 Fill 6 cupcake liners with the “rainbow sprinkle” batter. 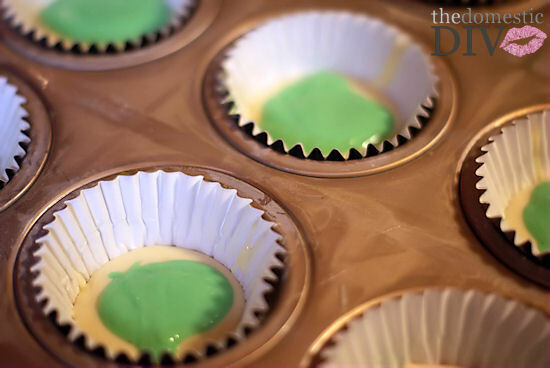 For the remaining cupcakes, fill the liner in layers of green and white batter. The way I did this was to take one spoonful of white batter then placed a spoonful of green batter on top of that then covered the green batter with a final spoonful of white batter being careful to pay attention not to overfill the cupcake liner (make sure to leave enough room for the cupcakes to rise while baking). Bake the cupcakes according to the package directions. Allow to cool completely before icing. When icing cupcakes I like to use Betty Crocker Cupcake Icing. It conveniently comes in a can and makes it easy for me because I don’t have to deal with piping bags or hunting down my cake decorating kit. On the green cupcake icing I used the star shaped tip. I piped 3 large starts across the middle of the cupcake. Then 2 more stars on top of that. Then I piped a thin stem for the four-leaf clover. 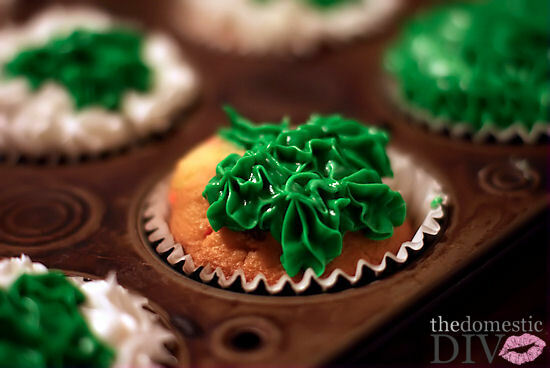 Once all of the “clovers” were piped onto the cupcakes, then fill in the remaining area of the cupcakes with white icing. For this I used the star tip on the white cupcake icing. What fun cupcakes! Thanks for sharing Heather! Those are so cute Heather. I think Bieber would love them.